Royal Classic. Colonial Rose 60x2.5yds Charles Craft Royal Clas  - $58.76 : Yarn Tree, Your wholesale source for cross stitch supplies. Item 2445. 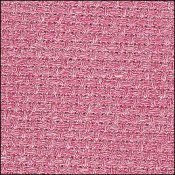 Colonial Rose 60" x 2 1/2 Yards 14 Count Charles Craft Royal Classic. Easy care, machine washable evenweave. A soft and lovely fabric with a hint of sheen. Similar in appearance to Aida, Royal Classic is a blend of polyester and rayon so it is permanent press. Wrinkle free, stain-resistant, and machine washable. Royal Classic is ideal for tablecloths, napkins, bread covers, pictures, even afghans! 60” wide. Vinyl Weave. White 13ct 12"x18"